Deadline for nominations for this year's prestigious Achiever Awards, which recognise exceptional contributions to the crucial area of skills development and training in South Africa, is fast approaching, and the time to get your entries in, is now. 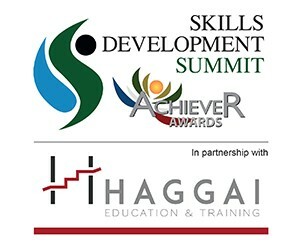 The Awards are an integral part of the Haggai Education & Training Skills Development Summit, which takes place at the CSIR ICC in Pretoria on 12 & 13 March 2019. The Summit showcases, and honours, excellence and commitment to skills development across a broad swathe of South African industry. The achievements of companies, government departments and organisations of all sizes in enhancing employees' skills base by implementing innovative and effective skills development and training programmes are honoured at the Awards. The judges are put forward by the SA Board for People Practices (SABPP) and are all highly regarded in their fields. Among other things, they look for industry relevance, innovation, sustainability, exceptional creativity and socio economic impact. The answer is short and simple: the Achiever Awards bring with them public and peer recognition of the strides you have made in skills development and training and provide highly valuable motivation for your team, enhancing corporate pride at the same time. They set you apart from your competitors, add value to your “employer of choice” rating, create outstanding media and PR opportunities and showcase your best practice initiatives in a highly visible and lasting way. The Achiever Awards are now in their year and have gained a widespread reputation for recognising and honouring expertise and commitment in the vital area of skills development and training in South Africa. They set the bar high, but the rewards are manifold. Should you know of an organisation, or better yet, should you be part of an organisation that meets these requirements, please nominate the organisation by clicking here – nominations close on 08 February 2019. There are various categories for which one can be nominated, please follow this link to see more.